Established in 1993, SHUENN BAO SHING CORPORATION is one of the leading mask respirator manufacture of disposable face mask, N95 surgical respirators , N95 MASK, FFP1,FFP2,FFP3 dust respirators and non-woven air filtration media for a wide range of environmental protection applications. SHUENN BAO SHING CORPORATION operates under ISO 13485 & ISO 9001:2008 by AFNOR’s Register Quality Assurance to be a excellent mask respirators manufacturer . 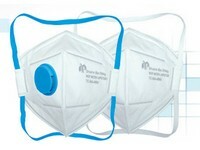 Our factory operates over 15 production lines for face mask,surgical mask,dust respirators. We continuously invest in mask production systems to upgrade our quality . Our machinery includes the latest filtration testing equipment TSI8130 to measure the filtration efficiencies of sub-micron particles to meet N95 mask and FFP1,FFP2,FFP3 respirators requirement. 1. Medical Face mask and Safety Respirator: EN14683 TYPE II, TYPE IIR surgical mask, NIOSH N95 surgical mask, NIOSH N95 respirators, EN149:2001+A1:2009 FFP1, FFP2, FFP3 respirators. 2. Air filtration media for pleat-type filter, bag filter vacuum cleaner bag and Exhaust filters, Auto cabin filters and Auto intake filters, Bag house filters, Paint spray booth filters, Respirators. We manufacture (1) respirators, N95 masks, flu mask, FFP1/ FFP2/ FFP3 dust mask, aerp pro respirator masks, industrial respirator masks, flat type masks, ear loop face mask, tie on face masks, non-sterile surgical masks, anti-bacterial face masks, core type mask, particulate respirators, bouffant caps, surgical cap, shoe covers, surgical gowns, nonsterile protection gowns, chemical absorbents, chemical ponds, nontoxic particle masks, disposable non-woven aerated caps, paper masks. 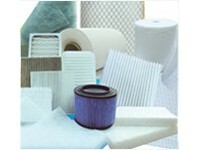 (2) air filters media, activated corbon filters media, activated carbon granular filters, non-woven backing materials, cabin air filters medium, allergen filters, V-lap nonwoven fabrics, ceiling filters, non-flammable oil filters media, allergen filters media, flame retardant filters media, activated corbon filters media. OEM/ODM orders are welcome.